Bainbridge Total Grey 50/50 Mount Board. Charcoal grey on one side and T.V. grey on the other, with smooth, consistent grey core. 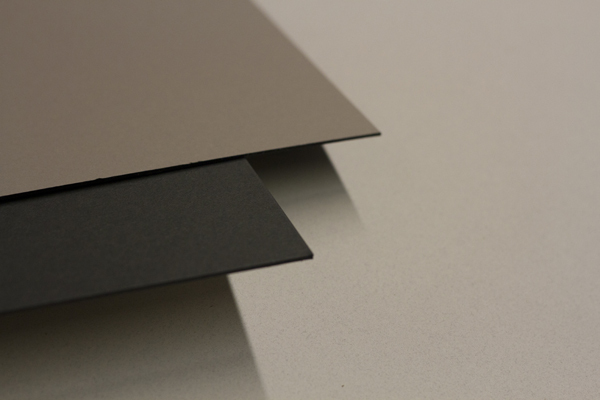 Scuff resistant finish is ideal for matting with beveled edges and mounting purposes. Available in 15x20, 20x30, and 32x40. Sold in full cartons only. 147 points will be rewarded when you are logged in to your account and buy this item.